* Please note, I was sent the following story via email from a good friend of mine. I hope you enjoy! The father Opened the package. It was a portrait of his son, painted by the young man. He stared in awe at the way the soldier had captured the personality of his son in the painting The father was so drawn to the eyes that his own eyes welled up with tears. Give it to him for $10. Let's see the masters.' The crowd was becoming angry. They didn't want the picture of the son. I am sorry. When I was called to conduct this auction, I was told of a secret stipulation in the will. I was not allowed to reveal that stipulation until this time. God gave us His son 2,000 years ago to die on the cross. Much like the auctioneer, His message today is: '"The Son, the Son, Who will take my Son??? Because, you see, whoever takes God's Son gets everything. FOR GOD SO LOVED THE WORLD THAT HE GAVE HIS ONLY BEGOTTEN SON, WHO SO EVER BELIEVETH, SHALL HAVE ETERNAL LIFE...That's Faith, That's Love, That's Everything! April Fool’s Day is the day of enjoyment in which people make fun of each other. It is a great day where we make pranks inside the offices, homes and markets. 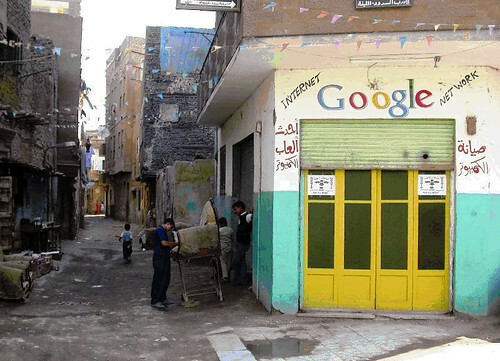 Not only these places but web is also enthusiast on the April Fool’s Day. One of the examples is Google. They have been elaborated their pranks over the years. There is a history of pulling the April Fools day pranks of Google. With an April Fool’s day prank Google each year decides to play a joke on the world for the entertainment of its users. Since 2000 the world has been pulled by the April Fool’s day jokes by Google. 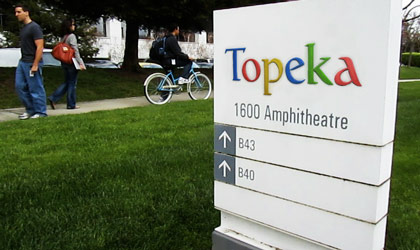 This year prank by the Google is the announcement of changing its name to Topeka. Some of the pranks that Google made in the past years are as follow. MentalPlex (2000): in which brainwave activity, past browser history and mouse movements could be scanned by Google for figuring out where you wanted to go. Pigeon Based Ranking System (2002): it was announced by Google that pigeons would be used for pecking away randomly on their computers on order to find websites. They claimed that information would be grabbed randomly by the pigeons thus more meshed web would be allowed. That was a well thought idea for a prank. Google “Moon” Jobs (2004): This was the prank made by Google to the job seekers and was a part of the companies “Google Copernicus Hosting Environment and Experiment in Search Engineering (G.C.H.E.E.S.E.)’. Brain Drink That Makes You Think Faster (2005): in this it was claimed by the Google that the DNA code of the human could be read with a special sensor o the lip of the bottle of Coca-Cola. The size of our DNA is just 3 Gigabytes as described by the Google. Other pranks made by Google in the years 2006,2007,2008 and 2009 were Google Contextual Dating, Google Toilet Internet Service Provider, Google Worldwide Rickrolling + Other Pranks and Google Chrome 3D Browser respectively. After my last couple of posts, I became nostalgic and wanted to get a list of great Google pranks, and found this list! I definitely look forward to seeing what the 2012 prank will be, seeing that it's the year predicted to be the end of human kind! I am sure Google is going to go ALL OUT for presumable their "last" prank! LOL! I received an e-mail from a prince here asking for money. I concluded that he was a legitimate source - as his lat-long coordinates are in perfect binary. I was perusing some of Google's BEST April Fool's jokes, and came across CADIE (http://www.google.com/intl/en_us/landing/cadie)! I LOVED this joke and was going through some of the links provided by CADIE (the panda loving, Artificial Intelligence system from GOOGLE Labs!). On the Google Maps in particular, you can find a tag for the Lat-Long Coordinate of Binary Perfection (somewhere in Nigeria! x_x) , which CADIE proclaims that she received an email from a prince asking for money (LMFAO) and she felt he must have been legit because of his lat-long position! LOL! There is also a SPECIAL SURPRISE mentioned in Area 51, as well as an even BIGGER surprise for you when you visit the link listed under Redmond, WA! LOL! Check it out today!